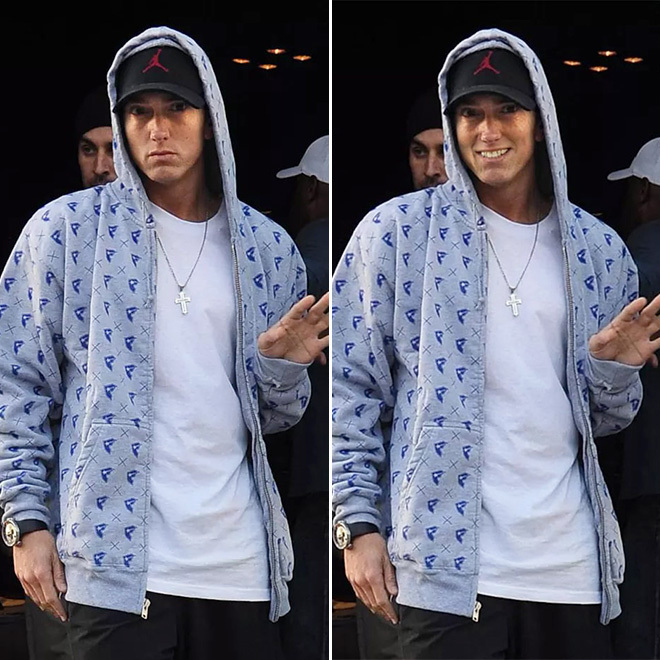 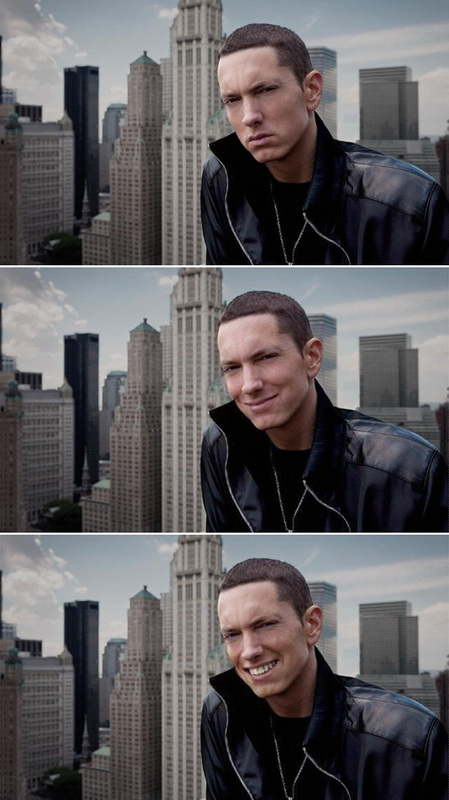 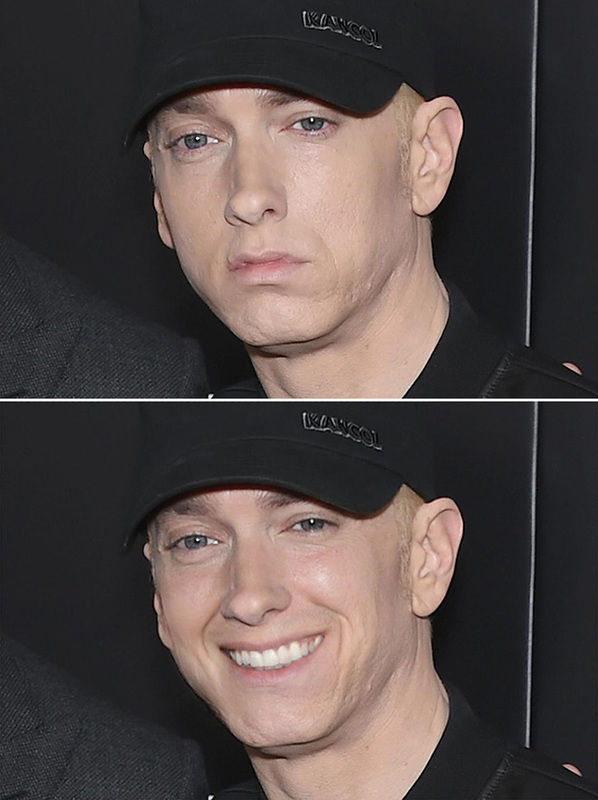 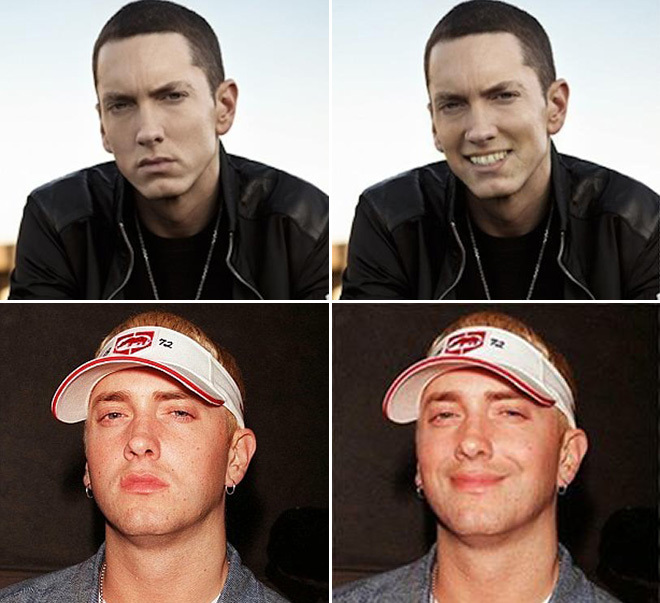 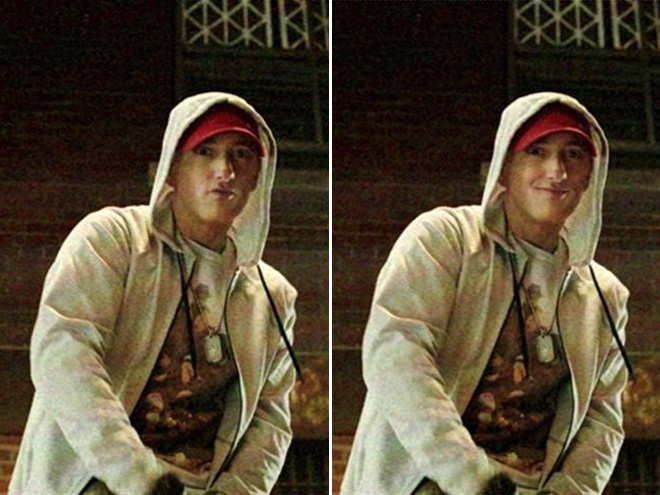 Photoshop artist Mike Brown, whose Facebook intro says “make someone smile every day,” decided to test this theory and shared a cleverly curated collection of Eminem in various “before and after” pictures. 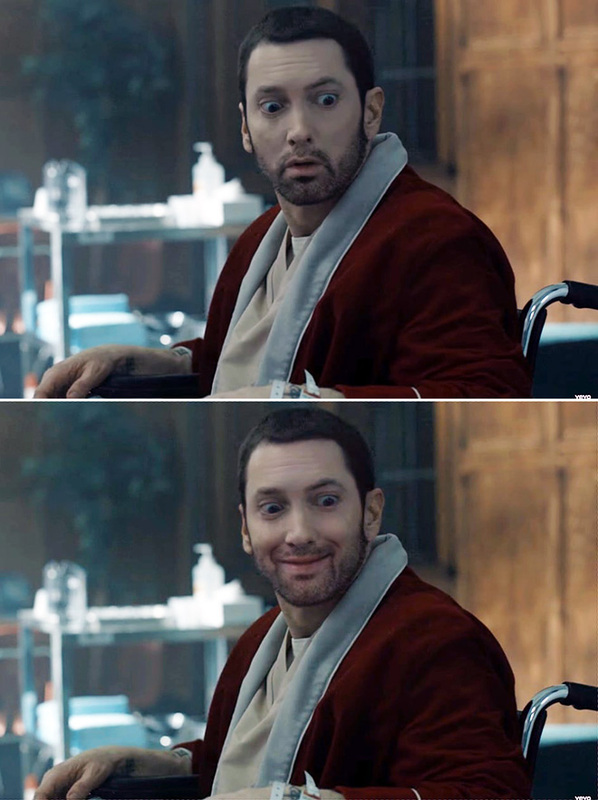 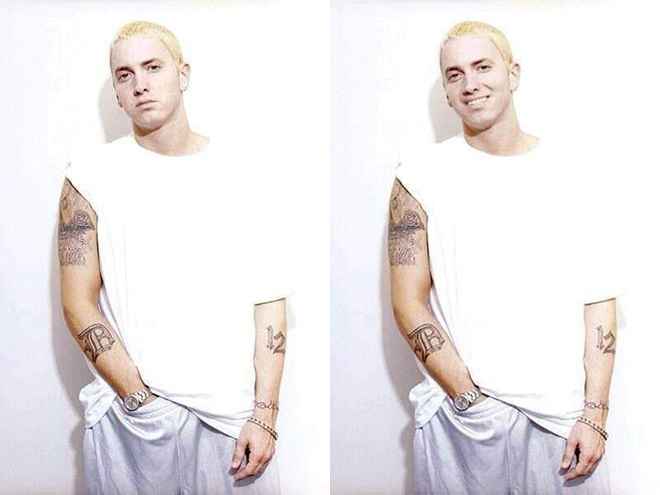 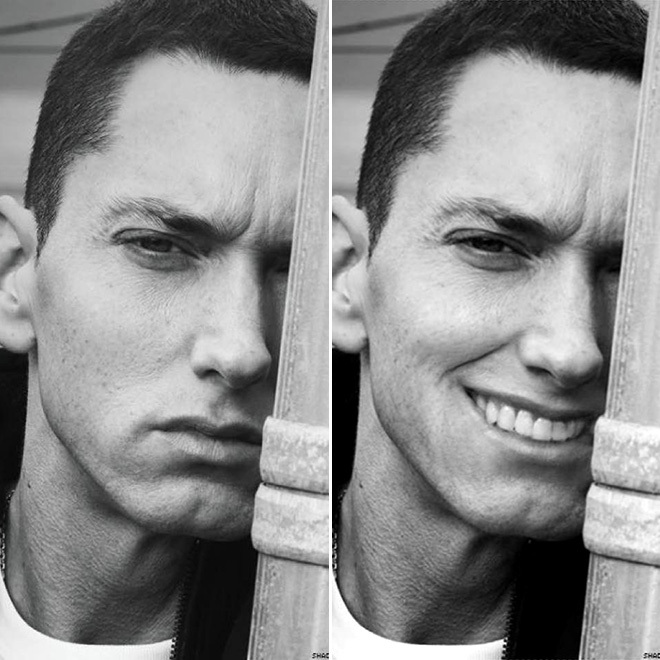 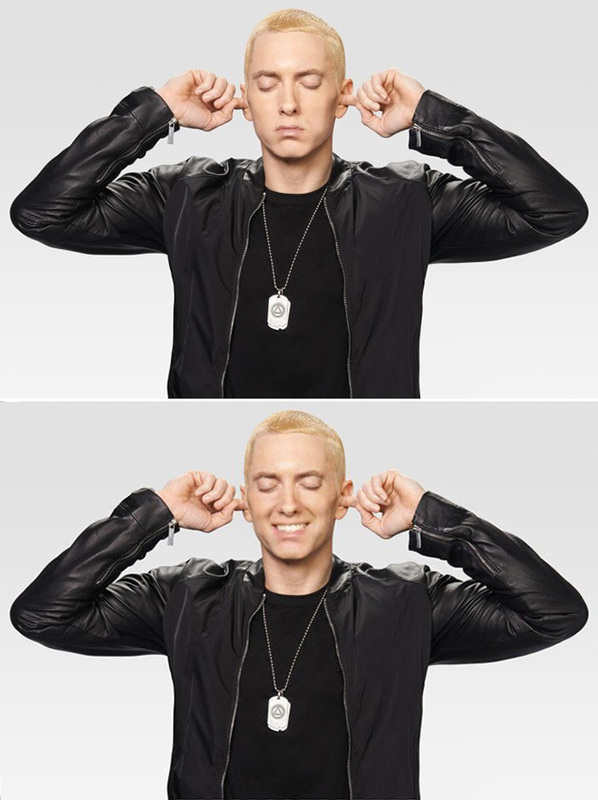 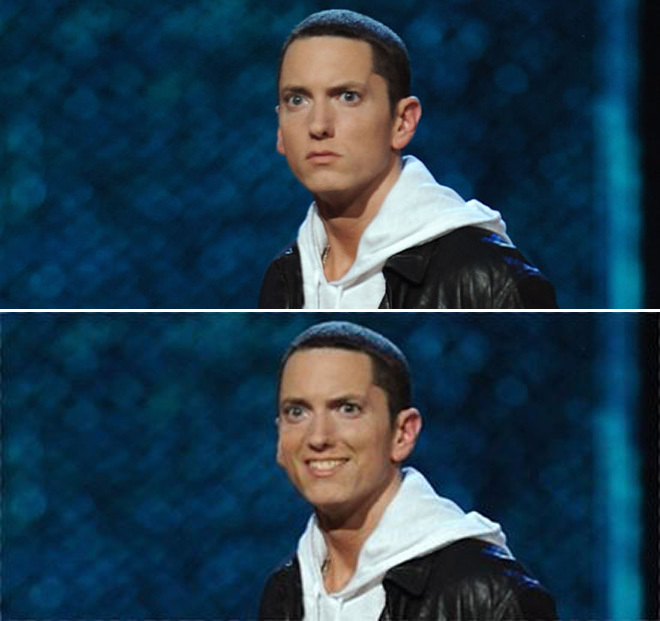 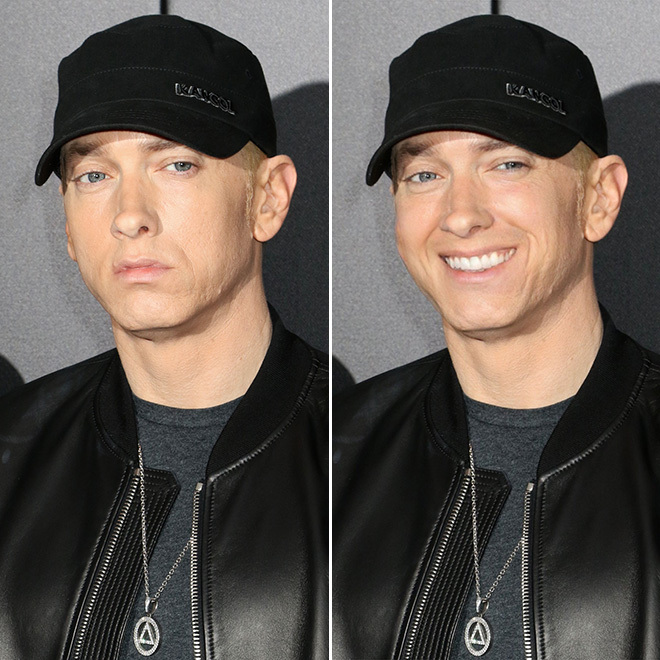 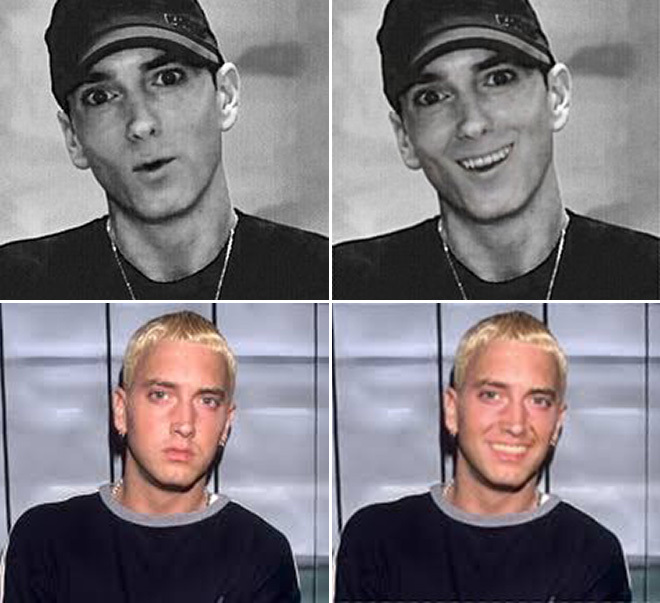 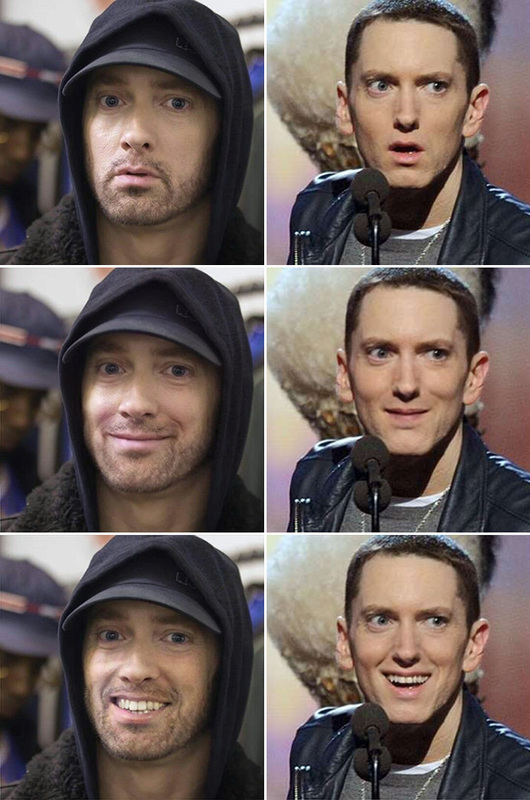 The original photos portray Eminem as we know him best: angry, serious, or straight-faced. 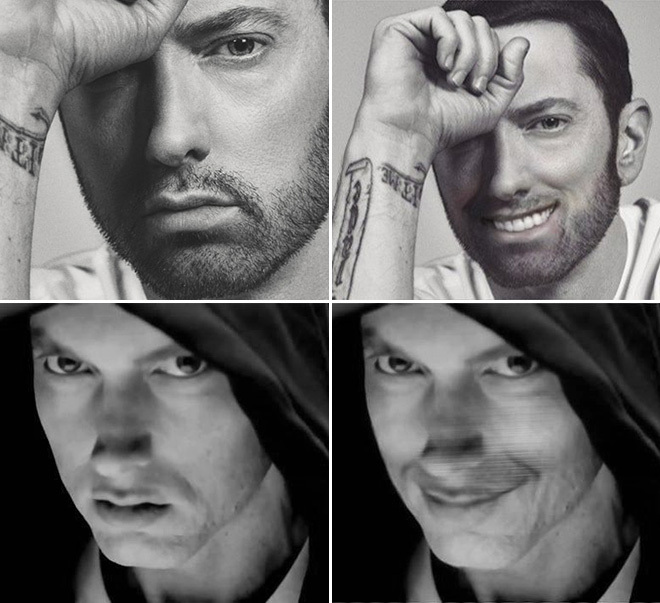 The doctored pics give a startlingly different vibe, however, with the addition of an outrageously cheesy grin creating an amusing but at times creepy look, reminiscent of the Hide The Pain Harold meme. 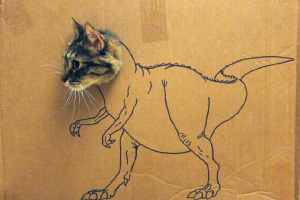 If you liked this post, you may also enjoy these Photoshop projects: Alive Doodles, Huge Cats In Cities, and Trump With VERY Long Tie. 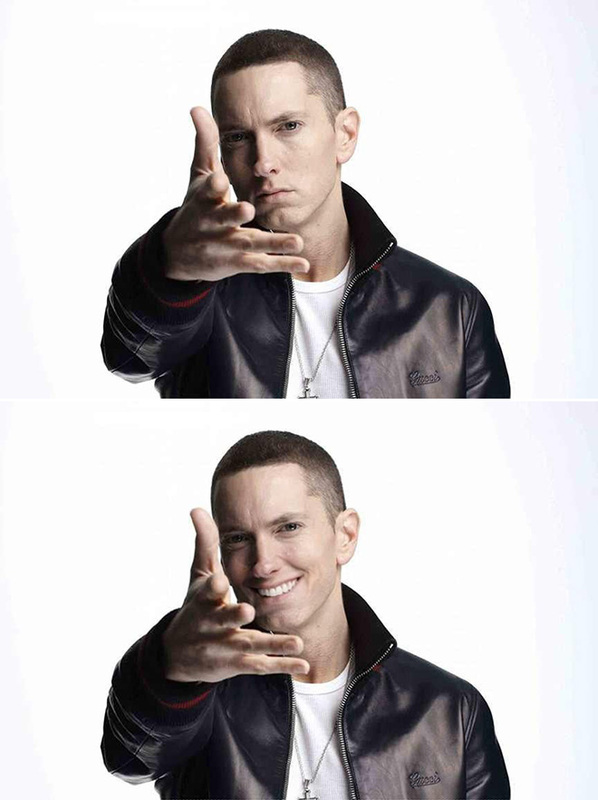 @Important content Finder, why You Think it is important?